Kindred Maple Cutting Board - 18" X 11" X 1"
Accentuations by Manhattan Comfort 12" Himalayan Rectangular Salt Plate 1.12 Made from natural Himalayan salt crystals hand mined in the Himalayan Mountains is the perfect new item that you want for cooking, cutting and displaying your food and appetizers with. The rectangular carved natural rock measures 12" in Length and 8" Depth . Use it to grill, sear and/or cook your meat, fish and veggies. The rock can be placed directly on the grill or stove top. Enjoy the Salt tile while serving and hosting parties with a beautiful display. This acacia butcher block wood cutting board is 24 inch x 16 inch x 1.5 inch and is finished in a beautiful golden teak food-safe hard wax oil finish. The end-grain butcher block construction is very durable great for cutting food. 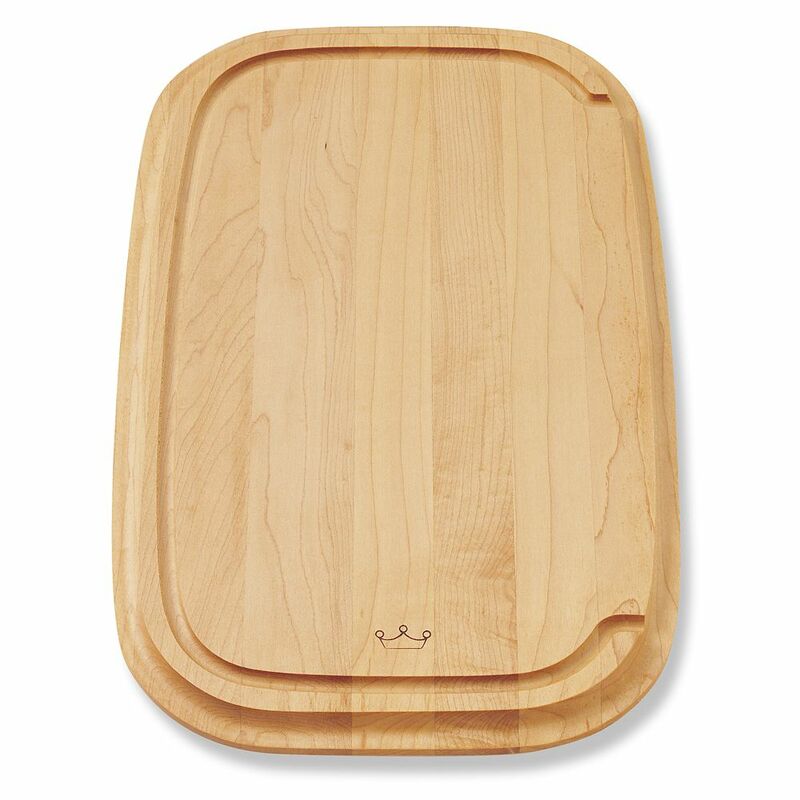 Maple Cutting Board - 18" X 11" X 1" Hardwood cutting board for food prep and presentation.